Could ETH Be Crashing To Zero As Vitalik Buterin Predicted? Why Are ETH Shorts Skyrocketing? After reaching its all time high of about $1,500, the price of ETH started falling against the USD along with the entire cryptocurrency market. However, the speed of the decline in the price of ETH was higher than that of many other coins. This was mainly because of the number of ICOs that were launched on the Ethereum blockchain. So, when the last bearish wave hit the market, ETH fell below $100 and started struggling to move above that level. This means that it is down by 93% from its all time high. As if that’s not enough, ETH shorts have reached their all-time highs causing serious panic in the market. According to Cumberland, the market is losing interest in ETH more and more as the day goes by. Cumberland, on Twitter, updated that their trading volumes have always been shared equally between BTC and ETH. But BTC is now taking 70% of their total trading volume showing that people are losing interest in ETH. As it stands, the only hope for ETH will be either a super strong bullish rally for the entire industry or the greatness of the Constantinople hard fork that is set to go live in January. If, somehow, BTC starts recovering against the USD, chances are, ETH and other cryptocurrencies will follow. If this doesn’t happen anytime soon, the only thing that may be strong enough to save ETH from reaching zero would be the release of the long-awaited Constantinople hard fork that is scheduled for January. Yesterday, when news about the release came up, ETH managed to trade in green against the USD. This shows that the market still believes in the Constantinople hard fork. 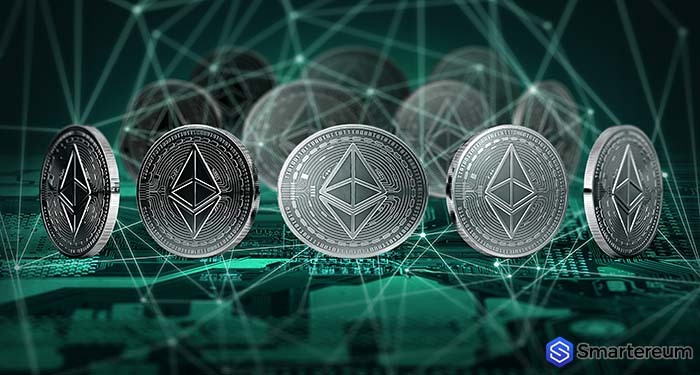 The update comes with five Ethereum Improvement Proposals that are going to change the Ethereum blockchain fundamentally. This will most likely support or even uplift the price of ETH putting the blockchain in a higher level than Tron. Until then, everyone should expect to see more declines in the price of ETH. Many experts believe that the worst is yet to come and that Vitalik Buterin’s words about ETH reaching zero will come true. “I discovered that the hard fork was announced 11 hours ago and the price of ETH bounced back 7 hours ago. There is no way this is a coincidence. I also believe that the ETH price spike influenced the price of BTC as well. However, I don’t believe this is the long-term bottom for ETH or BTC. It’s still too early to tell. The fact that the ETH shorts are at their all-time-highs shows that the market is still expecting a price drop. At the time of writing, ETH was trading at $92.22. This shows that it is up by 0.58% against the USD and down by 0.93% against BTC. The trading volume over a 24 hour period is $1,838,380,967 and the market capitalization is $9,562,195,354.